April and May were a blessed blur for all of us at Priority Ministries. The Lord provided many opportunities to do precisely what He’s called us to do: encourage women and girls to give Him priority. So join us in praising Him as we share the April-May scoop with you! Question: What do you get when you take one Girls Minister with a heart to help girls discover how beautiful they are to God? Avery, Clara, Mallory, and Aubrey (l-r).Special thanks to my sweet friend, Nannette Burrage, for sending me this pic — Avery and Aubrey are her precious granddaughters. 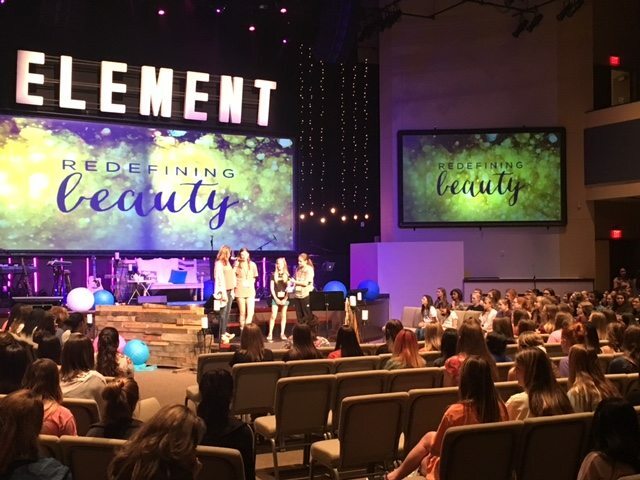 The Redefining Beauty weekend was all about encouraging and equipping girls in God’s Word and teaching them the truth about beauty. 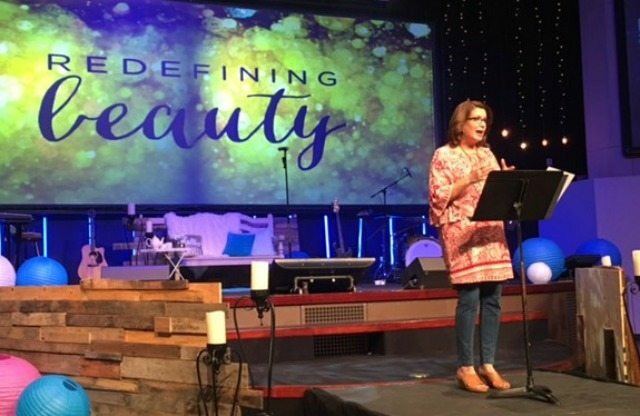 In a culture where so many girls are struggling with eating disorders, body-image issues, and self-harming themselves, it’s no wonder the Lord placed this very special weekend on Frances De La O’s heart. And she was obedient. How I thank the Lord for Frances and Champion Forest Church! If you or your church would be interested in organizing a similar event for girls, I would highly encourage you to contact her for more info. And I would also encourage you to consider leading my Beauty by The Book for Teens Bible study with a group of girls (if you’ll lead the group, I’ll be happy to do the teaching via these free videos). God can use you to make an eternal difference in the lives of girls. All you have to do is be obedient — just like Frances was. I love Sagemont Church. It’s my home church. But sweetest of all, it’s my church family. 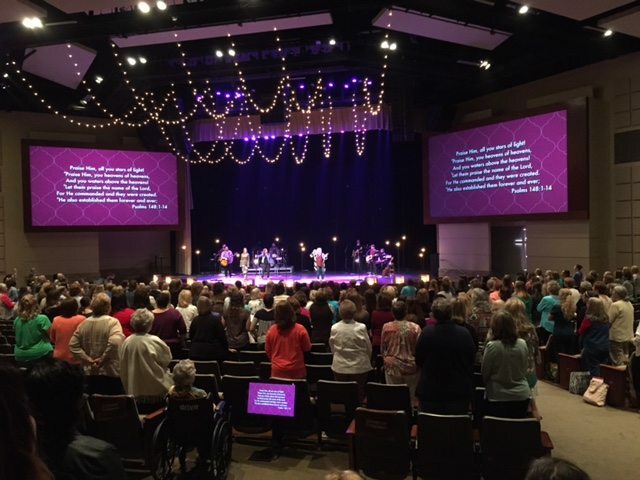 Every three years, our Women’s Ministry hosts a fabulous Women’s Conference — and this was the year! 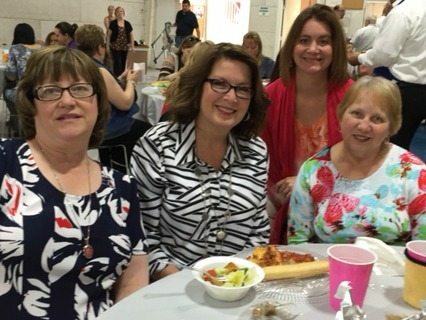 Betsy Thompson, Sagemont’s Women’s Minister and my beloved friend, and our wonderful Women’s Ministry team plan and pray over this event for years. So it was no surprise when God showed up and blessed the Fearless Women’s Conference in a big way. Angie Smith (author of Seamless, a fantastic Bible study for women), was our guest speaker and People and Songs led our glorious worship. But there were also some great break-out sessions . . .
…and I was invited to lead one of them! My topic was Do it Afraid. It was based upon one of the most powerful truths the Lord has ever taught me: you don’t have to feel strong and courageous to be strong and courageous. Since all of the breakouts were recorded (thank you Sagemont Media Team), and you can listen to my message and the other great breakouts right here. One more thing: if you live in the Houston area and you’re looking for a great church with great women and a great Women’s Ministry, I want to personally invite you to come visit us. In fact, come visit Betsy and me there. 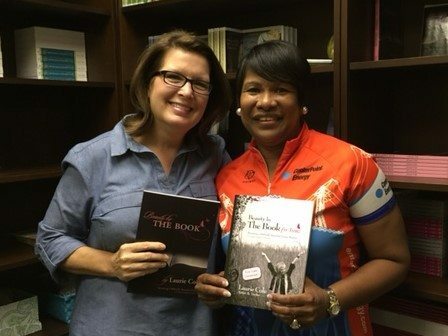 Every Sunday morning at 9:30, she and I teach the Renew women’s Bible study class in Room WC1110. Sagemont a BIG church, but don’t be intimidated. Just come, park your car wherever, and ask one of our friendly greeters to help you find our classroom. I would LOVE to see you in Renew! A few weeks ago, we had a VIP visit at the Priority Ministries office. Meet Debra Lee, the pastor’s wife and First Lady of the Victory in Jesus Evangelistic Center in Houston. Debra is one super busy woman — she’s a wife, a mom, a servant in her church, and she works at CenterPointe Energy. But the Lord put it on Debra’s heart to offer my Beauty by The Book and Beauty by The Book for Teens study at her church. So when she came by to pick up the workbooks she needed, I was thrilled to be able to meet her in person and hug her neck. Debra, if you’re reading this, I want to thank you again for your obedience to add one more thing to your very full plate. I continue to pray for you, your daughter, and for all of the dear sisters at Victory in Jesus Evangelistic Center. Priority Ministries began 13 years ago. But one year ago, we hosted our first-ever Boot Scootin’ BBQ — and it was amazing! If we had known how wonderful an event like this could be, we never would have waited so long to do it. With this year’s BBQ behind us, we are already looking forward to next year’s event, so save the date: Saturday, April 22, 2017. Miss the BBQ? Here’s a little taste of what you missed. Hope to see you next year! Over $40,000 was raised to support Priority Ministries at this year’s BBQ. A great big thanks to all of our generous sponsors, auction donors and buyers, and to everyone who made a donation that night. I am overwhelmed by your generosity and so grateful to the Lord for each and every one of you. God bless you! 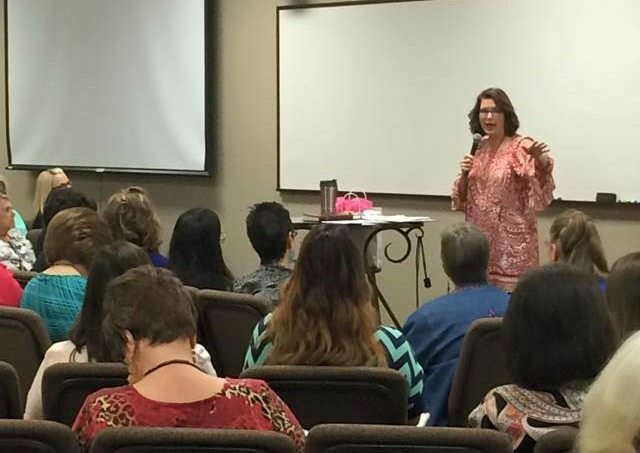 I’ve been a speaker for women’s retreats for 30+ years. So trust me when I say that not all women’s retreats are created equal. 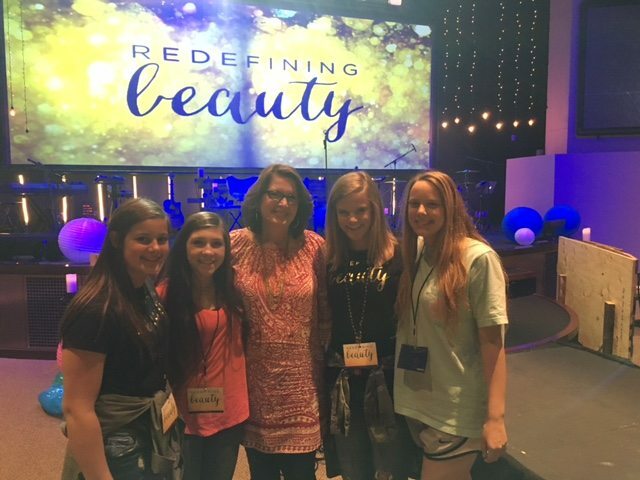 The best retreats include three things: 1) They are bathed in prayer; 2) they are led by a woman with a clear purpose and vision from the Lord; and 3) they incorporate a diverse team of godly women to serve and lead at the event. 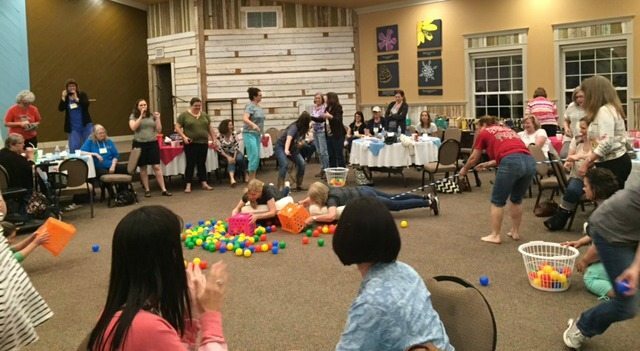 And I witnessed all three at the First Baptist Friendswood Women’s Retreat. 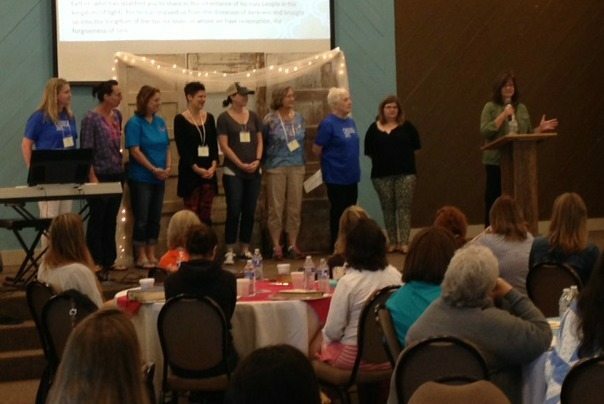 Led by Katy Cummings (farthest left in the pic above) and a fantastic team of amazing women, the Beautiful You Women’s Retreat is one that I will never forget. 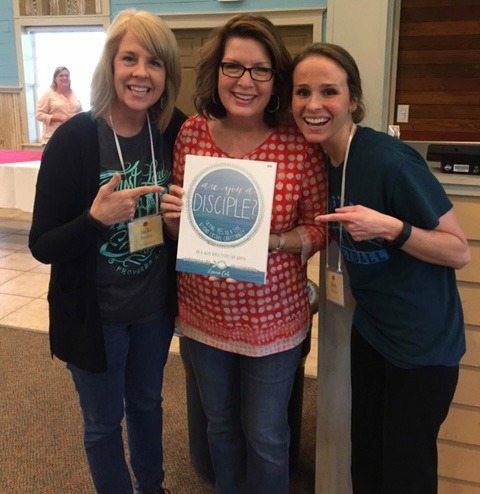 Like a surprise gift from God, I had the unexpected joy of meeting Jackie and Beth Pavelka (l-r) Jackie’s daughter, Emily Seith, designed the font and graphics for my newest Bible study, Are You a Disciple? Don’t you just love it when God connects the dots in our lives like that?! …the live-action version of Hungry, Hungry Hippos changed me! I honestly cannot remember when I’ve laughed so much at a retreat — and laughter is another absolute essential for a great retreat. But seriously, the Lord showed up all weekend long in our large and small group sessions, during mealtimes as we sat together and got to know one another, and outdoors during free time as we enjoyed sweet conversations and alone time with God. His fingerprints were all over the entire retreat. Thank you, First Baptist Friendswood, for inviting me to be part of a near-perfect retreat experience. It was pure joy being with you, and I hope you’ll invite me again sometime. XXXs to all of you! In case you haven’t noticed already, all of the events and speaking opportunities the Lord gave me over the past two months have been close to home for me. But the Cleak Lake Nazarene Mother’s Day Luncheon was the closest of all! Only a couple of miles from the Priority Ministries office, I’ve driven by Clear Lake Nazarene hundreds of times. So I was thrilled when Beverly Strong, their Women’s Mninister, invited me to speak at their annual Mother’s Day Luncheon. That’s Beverly (far right), and I also had the joy of meeting several other members of her family including her daughter, her husband, and a couple of her grandkids that day. 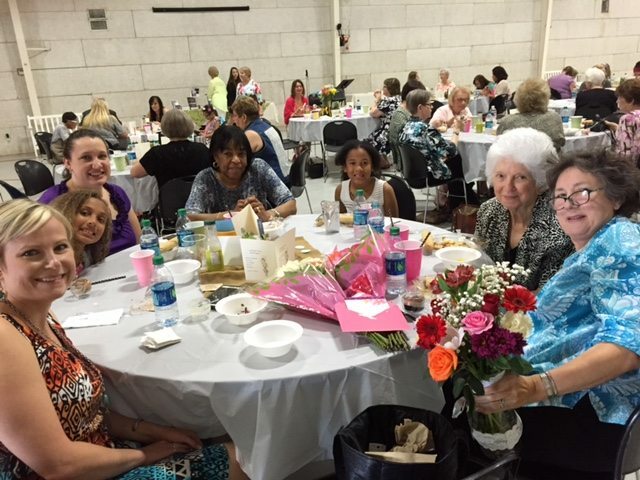 My favorite thing about the luncheon was seeing so many daughters, moms, grandmothers, and great-grandmothers together. Events like these bring the generations together, and it’s a beautiful thing. After so many years of driving past their church, it was such a blessing meeting so many of my sisters in Christ at Clear Lake Nazarene! Thank you for allowing me to come and share God’s Word with you, and thank you for sharing your love for Him and for one another with me. That’s the scoop for April and May! Please join me in praising the Lord for every event and opportunity that He gave Priority and me to encourage and equip women to give Him priority over the past two months. 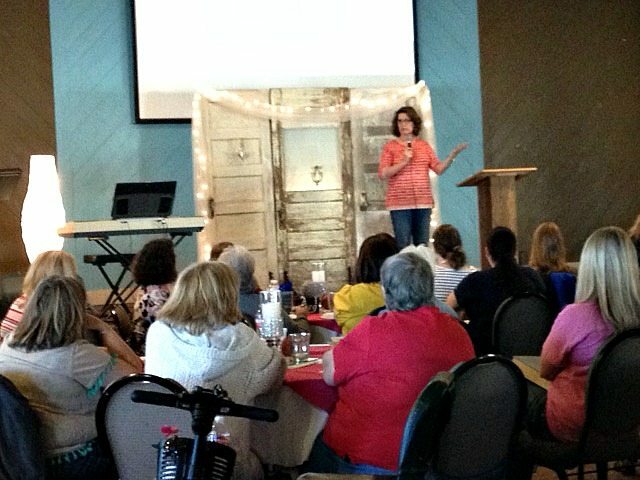 If your church is planning a retreat, a Ladies Night Out, a Christmas event or Women’s Conference, I’d love to come and share God’s Word with your group. I work with all Bible-believing churches large or small, and I’d love to visit with you about the possibility of being part of your event. Just call (832/632-2197) or email me. Blessings to you!